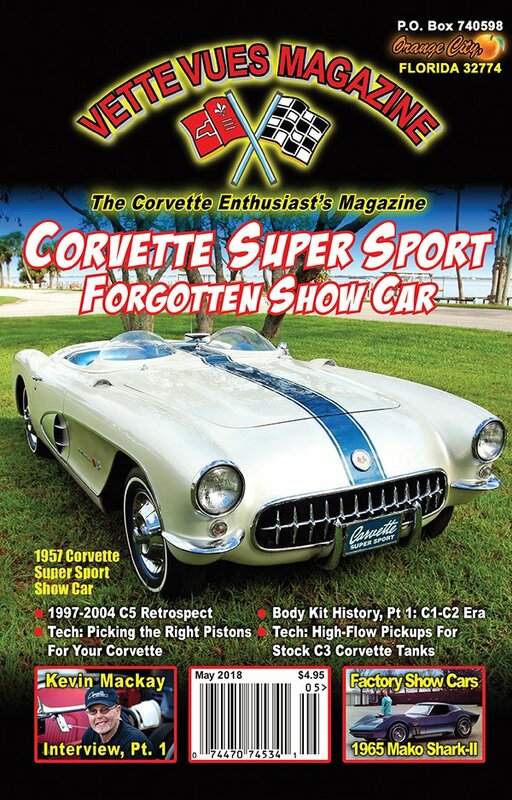 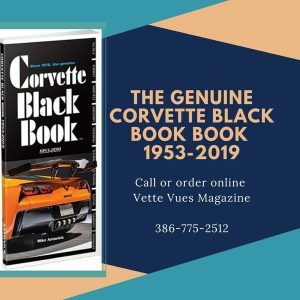 In this issue we read about the forgotten Corvette Super Sport show car, the History of Body Kits from the C1 & C2 Era, the history of the C5, 1965 Mako Shark II, Kevin Mackay Interview, and more! 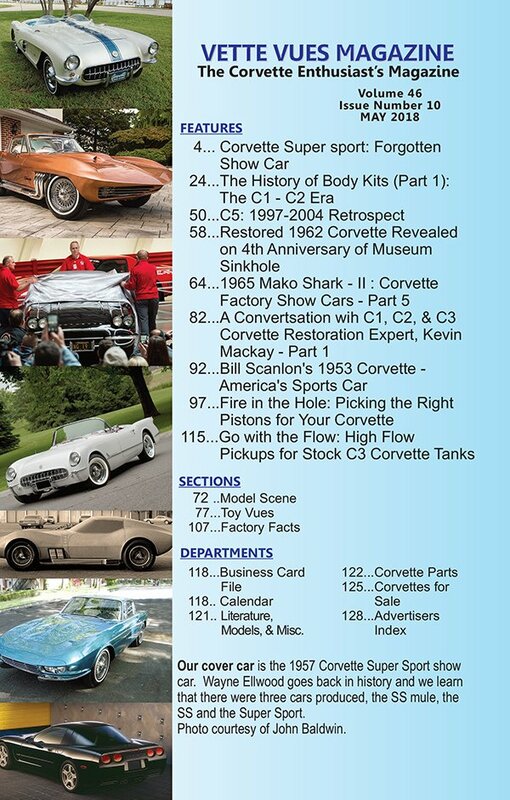 Our cover car is the 1957 Corvette Super Sport show car. 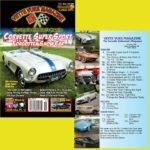 Wayne Ellwood goes back in history and we learn that there were three cars produced, the SS mule, the SS and the Super Sport. 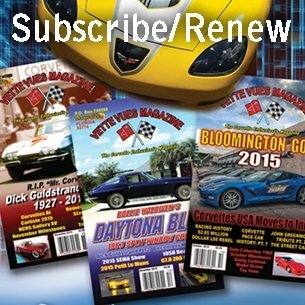 Photo courtesy of John Baldwin. 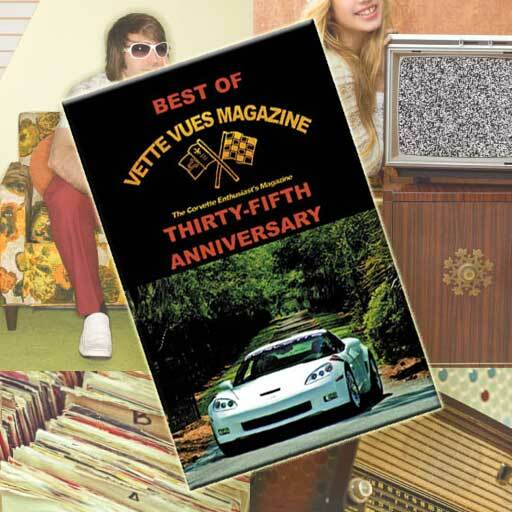 Tags: MAY 2018 ISSUE VETTE VUES MAGAZINE, VOLUME 46 ISSUE NUMBER 10	.